We are very pleased to announce our eighth annual Sādhana Ritual Course, scheduled 15 December – 11 January. The course this year will focus on the Sangtik Dorsem (Vajrasattva of the Secret Essence) sādhana practice from the Chokling New Treasures Lineage (Chokling Tersar). 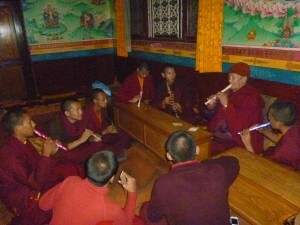 The main points of practice, as well as the ritual tradition of chant melodies, mudrās, torma, shrine arrangement, musical instruments and more, will be taught in Tibetan by Lama Sherab Dorje, a senior lama of Ka-nying Shedrub Ling monastery, and translated into English. In the secret mantra tradition, Buddha Vajrasattva is considered the source of all maṇḍalas and the embodiment of all Buddha families. 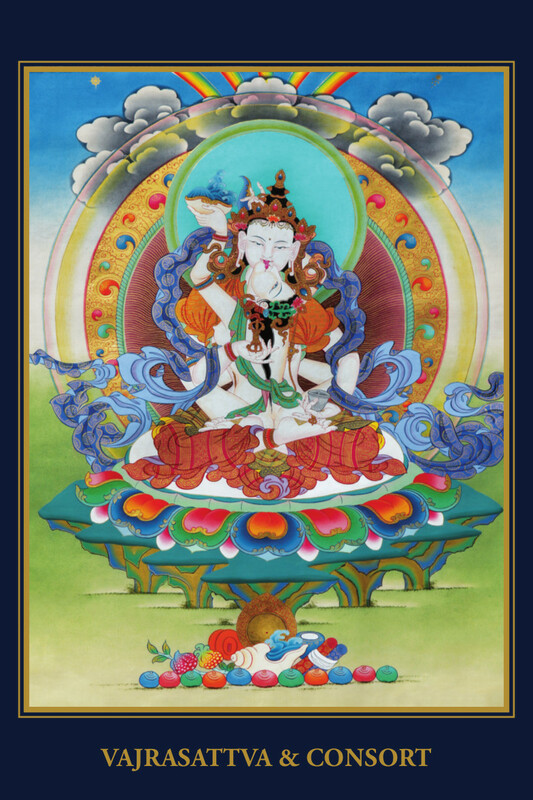 Most commonly Vajrasattva is practiced as a way to cleanse all negative actions and breakages of samaya by connecting to the ultimately pure nature of phenomena, the ultimate Vajrasattva. 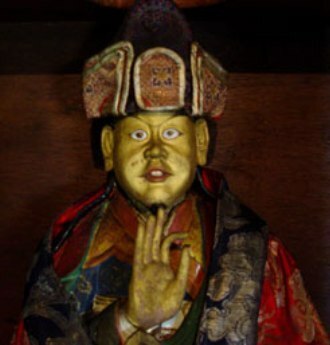 The Sādhana for the Single Mudrā Vajrasattva is part of The Essential Secret Essence cycle which contains the three main yidam deities practiced by Guru Rinpoche: Vajrasattva, Vajrakīlaya, and Yangdak Heruka. This treasure teaching was revealed by the great tertön Orgyen Chokgyur Lingpa in the 19th century in the Derge Kingdom of eastern Tibet, while the sādhana was written down by Jamgon Kongtrul Lodro Thaye. The Sādhana for the Single Mudrā Vajrasattva includes a very concise and beautiful long-life practice, as well as gathering offering practice (tsok). To read more about these practices and the Chokling Tersar lineage, please click here, and here. 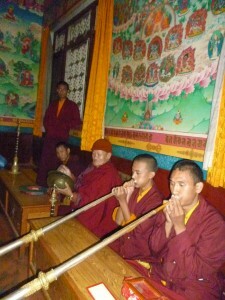 It is with great joy that we bring you news of the Chapagaon Dharma School. On the day of the Great Festival of Miracles (22 Feb 2016), we initiated the ground levelling on the site of the Dharma School. 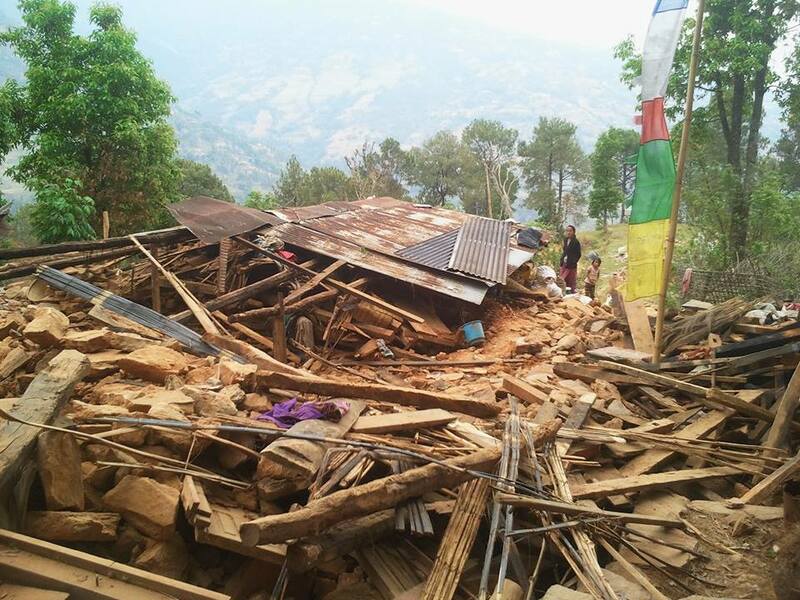 The land on which the school will be built is uneven with three different ground levels, so we have now brought them all to the same level, approximately 9 feet below the original monastery. Then subsequently on Dakini Day (4 March 2016), Kyabje Chokling Rinpoche and Tulku Rigzin Pema Rinpoche came to consecrate and bless the land, burying a geomancy earth vase specially made by Tulku Rigzin Pema Rinpoche. It was a beautiful day where the sky was clear, our monks from Ka-Nying Shedrub Ling Monastery and the monks from Chapagaon Monastery themselves preparing everything needed for the ceremony. Read more about the school here and click here to contribute to this meritorious project. My family joins me in most sincerely thanking you for all the heartwarming messages of love, well wishes, prayers, release of lives, lighting lamps, and other merit makings for my health and longevity. 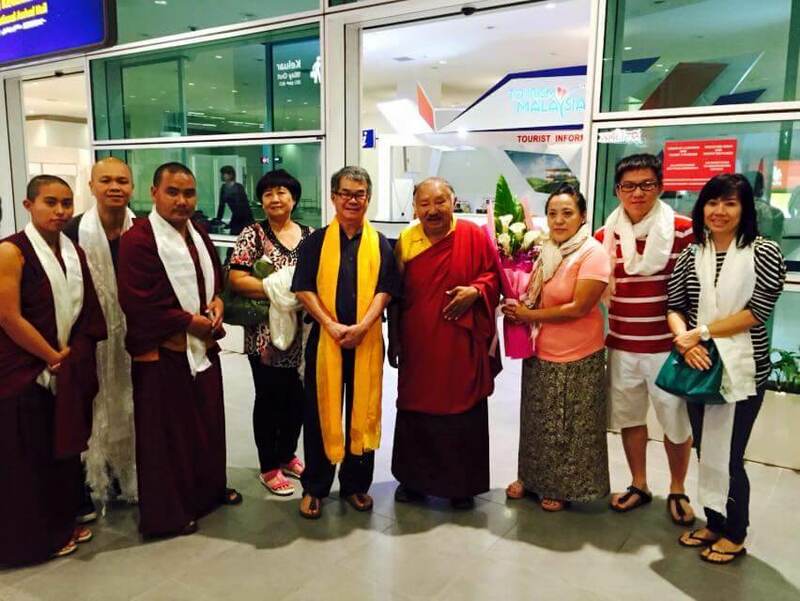 We have been deeply touched by your profound compassion and devoted concern. After a few months of rest and convalescence, we are happy to share with you the good news that I am healthy. 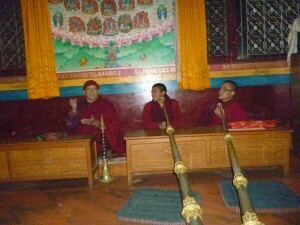 I have been able to join in Ka-Nying Shedrub Ling Monastery’s annual prayers including the Tsekar and Ngakso Drubchens. Although I won’t be travelling much this year, please know that you and your family are always in our hearts and daily prayers. We make aspiration prayers that we shall meet up again soon. My heartfelt advice is for you to please continue to strive in your personal dharma practice in accordance with the empowerments, transmissions, and instructions I have affectionately offered to you. 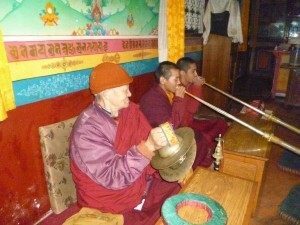 In the future I shall share with you more of the nectar of Dharma so please take care and tashi delek. 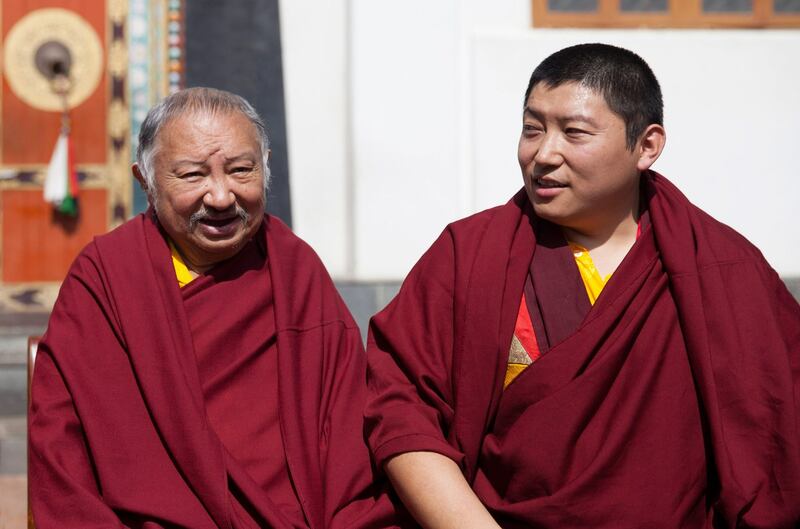 A recent photo of Kyabje Tsikey Chokling Rinpoche and Kyabgon Phakchok Rinpoche, father and son. In this video Phakchok Rinpoche describes the recent Long-Life Ceremony for both Tsikey Chokling Rinpoche and Chokyi Nyima Rinpoche that was performed very simply and beautifully during the annual White Amitayus Drupchen in Kathmandu. Phakchok Rinpoche goes on to thank all of the donors and groups and centers who made offerings to the two Rinpoches on such short notice. 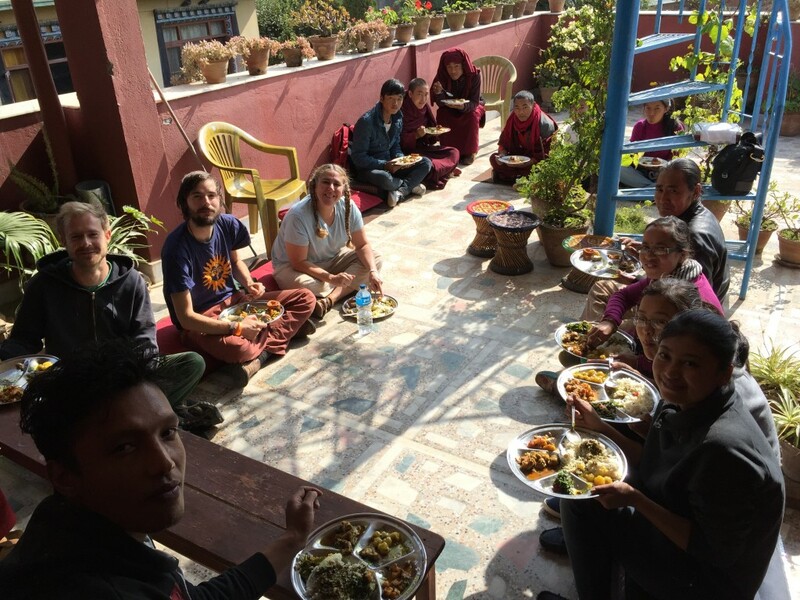 The 5th annual Sadhana Ritual Course began on Guru Rinpoche day, December 31st with the Chokling New Treasures three roots empowerments being bestowed by Neten Chokling Rinpoche. 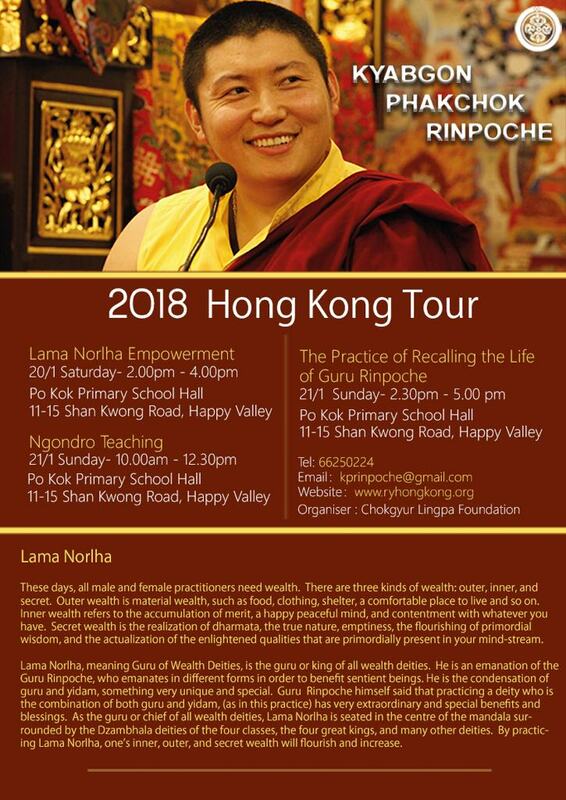 It was an honor that Neten Chokling Rinpoche was able to grant these precious ripening empowerments upon the thirty participants and all were very grateful for the rare opportunity. 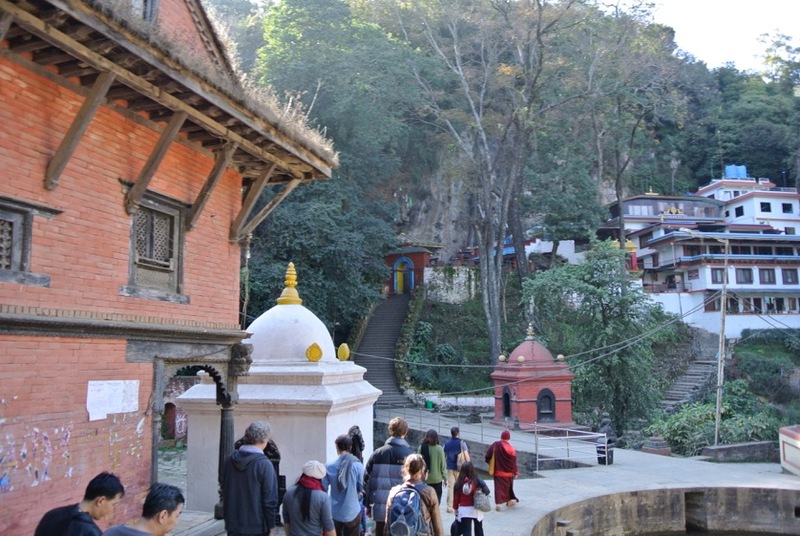 People from over 10 countries participated in the course at Asura Cave retreat center which was founded by Kyabje Tulku Urgyen Rinpoche and his consort, Mayumla Kunzang Dechen. 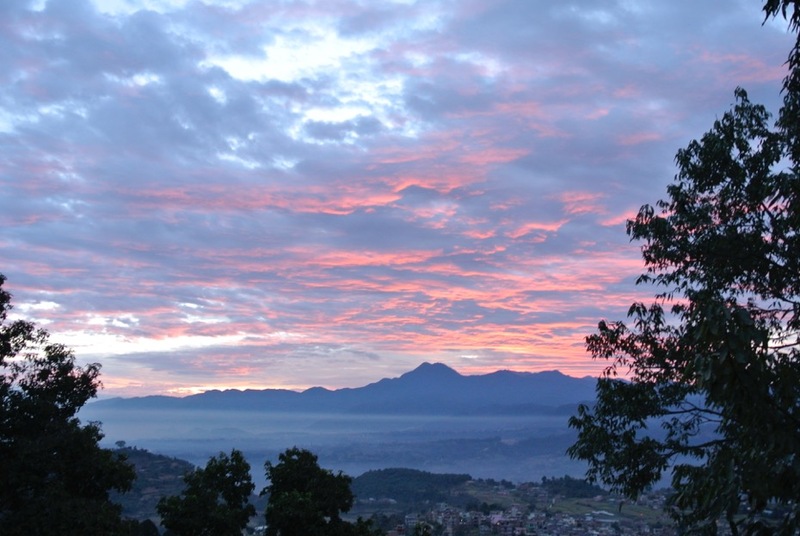 It is a blessed environment for vajrayana practice and for the Nyingma tradition of Guru Rinpoche. 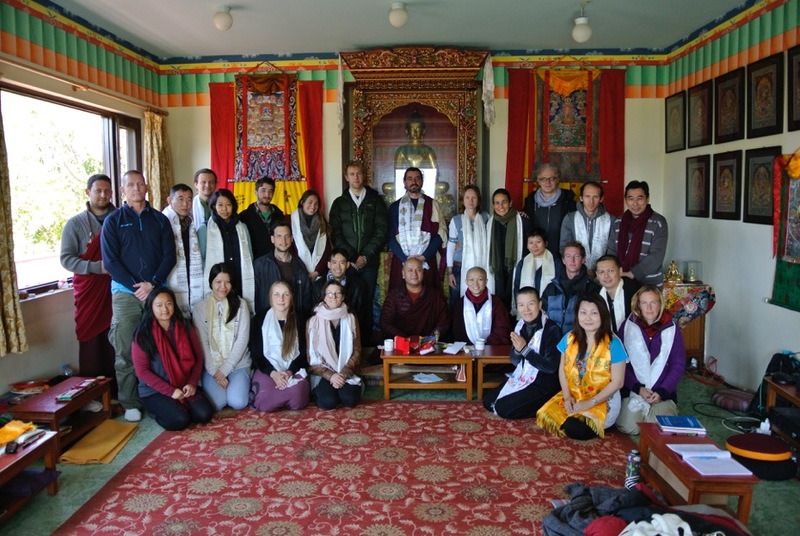 sangha group photo at the conclusion of the Vajrakilaya segment of the retreat. Two senior lamas from Ka-Nying Shedrup Ling taught upon the profound development stage teachings in general and transmitted the visual and explanatory lineage for the sadhanas of Tukdrup Trinley Nyingpo, Sangtik Phurba and Kurukulle. The course participants were all of varying degrees of experience and knowledge of varjrayana practice and the teachings were deeply meaningful and helpful for everyone. There was ample time for questions and answers both during formal sessions and during breaks with the lamas. 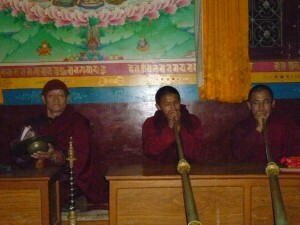 In the early morning the group practiced the given sadhana being taught and offered a tsok each evening led by the lamas. On Dakini day they practiced extensively all day and on Dharmapala day they practiced vajrakilaya together with dharma protector offerings. Throughout the course all who were interested had the chance to learn to be shrine master, make tormas and learn to play the instruments used by the chant master as well as how to use the vajra, bell and hand drum. Everyone learned how to carry out a personal retreat focusing on these sadhana practices as well as how to do the practices in a group. 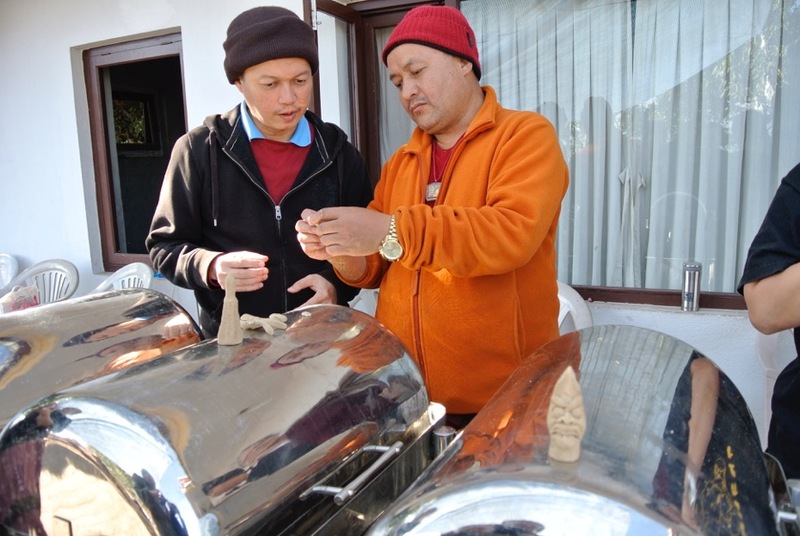 Lama Sherab Dorje teaching the intricacies of making tormas. This course was a great success and all participants came away with a deeper understanding and experience of the development stage practices and the blessing of the lineage practices being taught. The purpose of the sadhana ritual courses is to allow practitioners to learn, practice and come to master the development stage meditative and ritual tradition along with its profound pith instructions and lineage traditions. The final day was concluded with a Cleansing Smoke (sang cho) Offering on the mountain above Asura Cave. 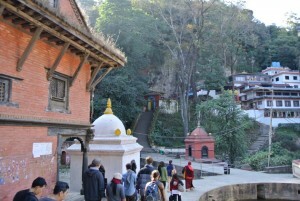 short pilgrimage to Guru Rinpoche cave at Yanglesho on the break day. 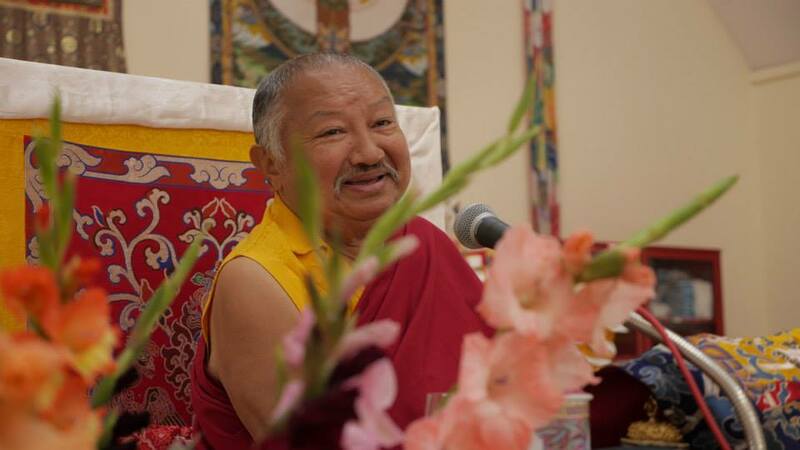 It is due to the great kindness and initiative of Kyabgön Phakchok Rinpoche that beginning in 2015 it is planned to offer a number of other such courses though the dates have yet to be confirmed.